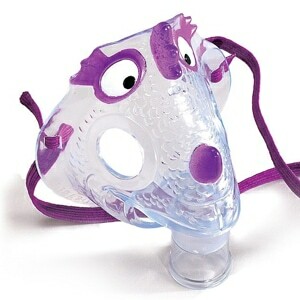 Sami the Seal is designed to appeal to children, parents and pediatricians; and to support aerosol therapy compliance. The compressor is bottom weighted to help with stability and incorporates a docking station for the nebulizer between treatments. Sami is made for children and pediatric patients so he's durable, economical and easy to use. Each Sami the Seal package comes complete with both disposable and reusable SideStream nebulizers. SideStream nebulizers feature venturi technology that provides air flow in addition to that supplied by the compressor, resulting in faster drug delivery and shorter treatment times. INCLUDES TUCKER THE TURTLE TOO! For added comfort and ease of use, partner Sami with the included Tucker the Turtle Pediatric Character Mask. Made of soft, flexible materials, Tucker contours to the face for comfort and fit. Tucker incorporates a vent design that directs medication away from the eyes, reducing undesirable aerosol eye deposition. In the Package Sami the Seal Compressor Nebulizer Machine, Yellow Sami Travel Bag, SideStream Reusable Nebulizer, SideStream Disposable Nebulizer, Tucker the Turtle Face Mask, AC Power Cord, Five Disposable Filters, Printed Instructions. 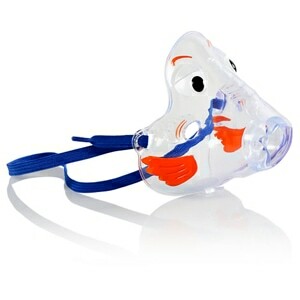 Additional Nebulizers, Filters & Face Masks Available in Shopping Cart. 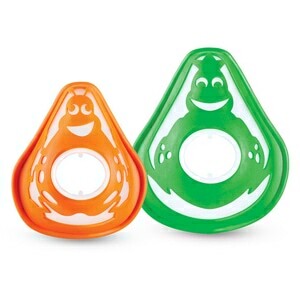 Very easy to use, love the creativity for the little ones. Would recomend this product to families and friends. My kids really loves Sami. The machine works properly is not quiet but not noisy at all. My kids are always willing to share some time with Sami. Excellent buy. Only had this for 2 months, but so far so good. My daughter likes it and it makes the process a tad bit more enjoyable. It's great! My 5 year old daughter loves it! My rambunctious 3 year old was willing to sit and let Sami make him feel better. Super easy to set up and use. Excellent experience, better than purchasing from a local medical supplier. They take care of everything electronically. Shipping was extremely fast. The item came in pristine condition and worked perfectly. It also comes with a convenient case for travel. We got Sami to help with our son's treatments at home. He really loves Sami (and he is cute you have to admit). 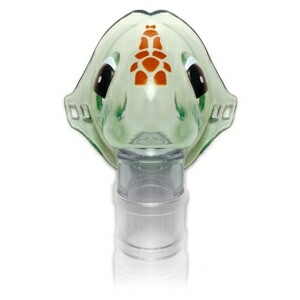 The turtle mask is good and the machine doesn't make much noise so he feels comfortable using it. Overall a great buy for us!